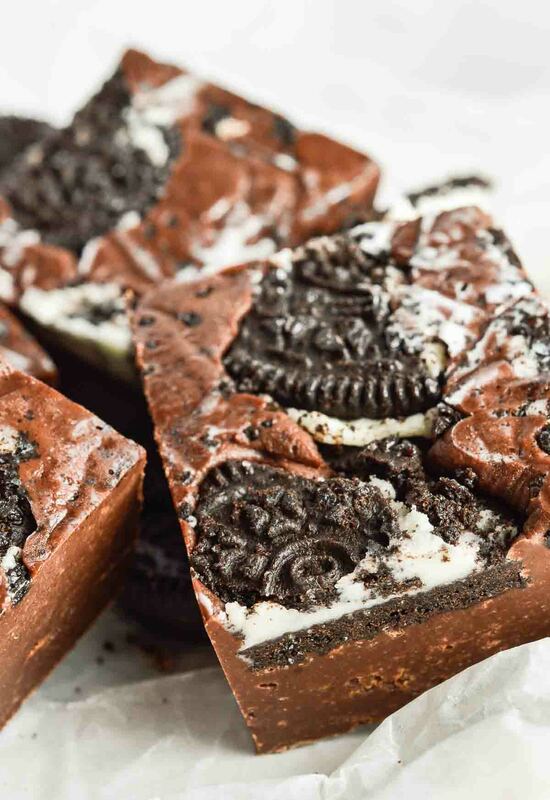 Easy Oreo Microwave Fudge takes 10 minutes to prep and tastes Unbelievable! 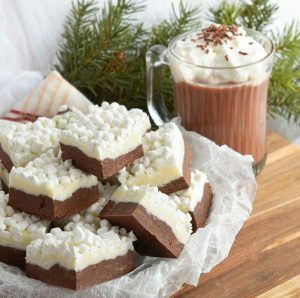 Perfect for those chocolate cravings or as a homemade holiday gift idea. 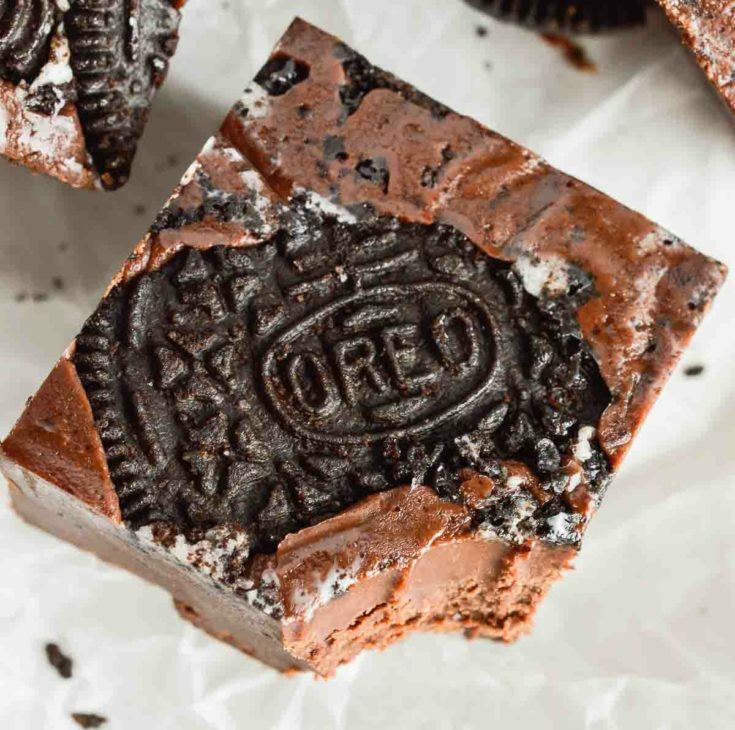 This recipe came from a serious late night chocolate craving. Serious Craving. 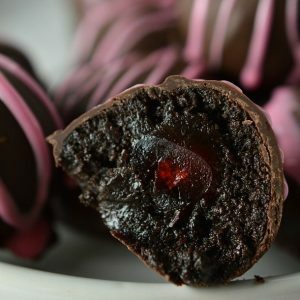 I searched around my favorite food blogs for a quick, easy and super chocolaty treat. I found it on the blog Chocolate, Chocolate and More, of course! 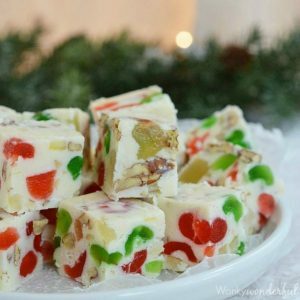 Joan had me at 3 Minute Fudge. I added a bit more chocolate because I prefer a slightly stiffer fudge consistency. And . . . Oreos! Boom! Late night chocolate craving cured. So whether you have a craving or need an easy treat for your holiday platter, this Oreo Microwave Fudge is it! 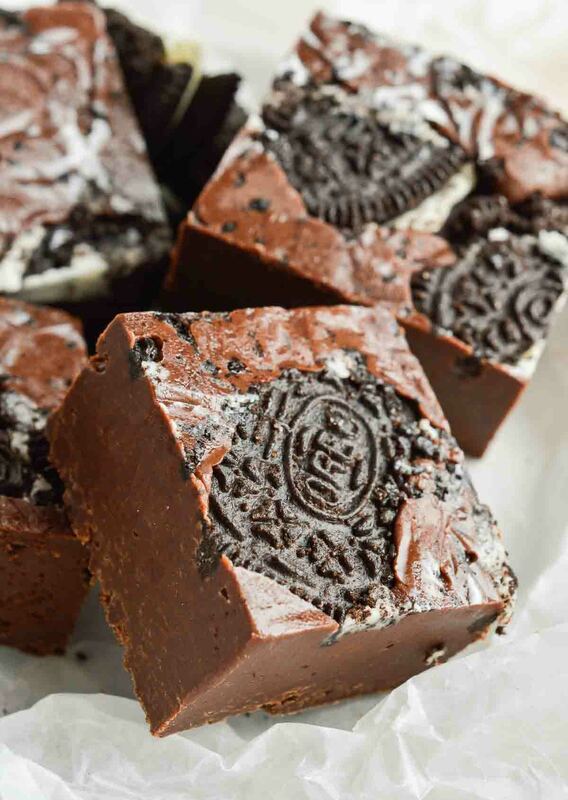 Rich chocolaty fudge, Oreos and a cold glass of milk. That is my kind of late night snack. That is also why I am on the market for an elliptical machine! Haha . . . not joking. 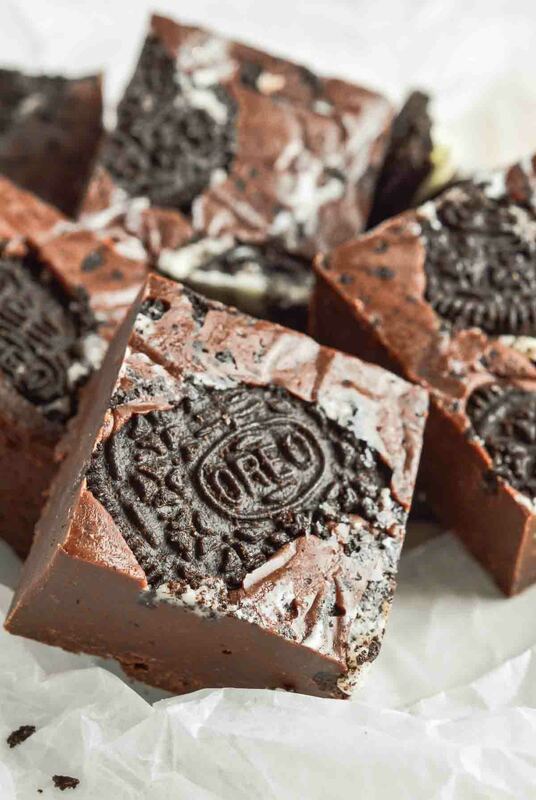 Easy Oreo Microwave Fudge takes 10 minutes to prep and tastes Unbelievable! In a microwave safe bowl; combine dark chocolate chips with sweetened condensed milk. Line a square 9x9 pan with foil and generously grease with butter or shortening. Spread crushed Oreos evenly on bottom of pan. Microwave chocolate 30 seconds, stir. Microwave 15 seconds then add salt and vanilla. Stir vigorously until chocolate is smooth. Microwave 15 seconds more if necessary. Transfer mixture into prepared pan and spread into an even layer. Refrigerate at least 4 hours to set. 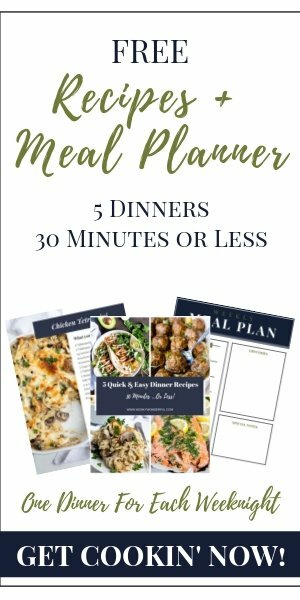 More For Your Holiday Platter. . . 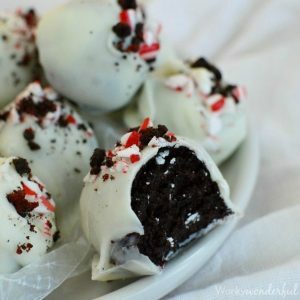 When do you add the Oreos? Hi! I love to try this one asap! But just want to ask..when will the crushed oreos be added? Noooo, don’t put foil in the microwave! The mixture in microwaved in a bowl then transferred to a foil lined dish. May you use regular chocolate chips instead of dark chocolate chips? Yes, I imagine semisweet chocolate chips work too. I always use dark because that is my preference. Enjoy!